If you’ve been around my blog very much, you know that I stress the importance of emergency sub plans! Emergency sub plans can help alleviate that stress when you or your child wakes up sick in the middle of the night. If a family emergency comes up, you know that you’re taken care of! When you have plans already ready, that’s one less thing to worry about and you can just deal with whatever else it is that you need to deal with, and temporarily forget about school. You may have already read my post about 5 Things your Emergency Sub Plans MUST include. 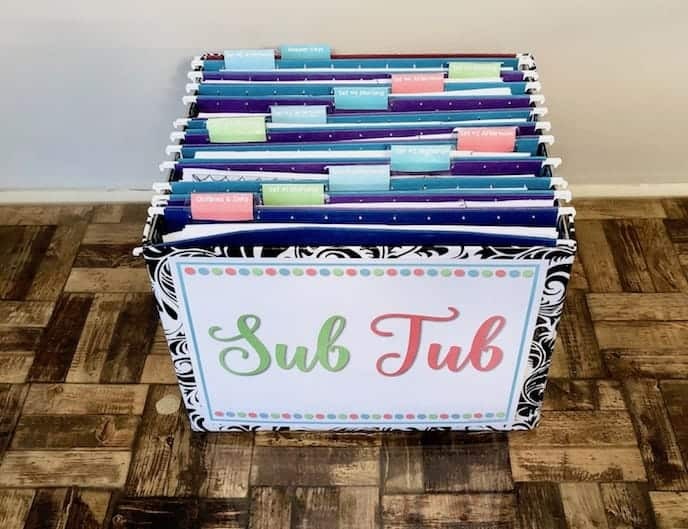 If so, you know what you need to include in your sub plans, you grabbed a freebie to get started, and now you have a huge stack of sub plans that need organizing! I suggest grabbing an accordion folder, or clearing out a filing cabinet to start organizing! CLICK HERE TO CHECK OUT THE FULL POST AND GET THOSE SUB PLANS ORGANIZED! If you’re new here, you may not have grabbed my sub plan freebie yet! The freebie includes some editable forms that you can fill in information for your sub as well as a couple ready to go mini lessons. You get this freebie when you subscribe to my newsletter. This means you’ll also get other exclusive freebies that I only send to VIPs as well as updates on blog posts and teaching tips! Click the button below to grab your freebie! 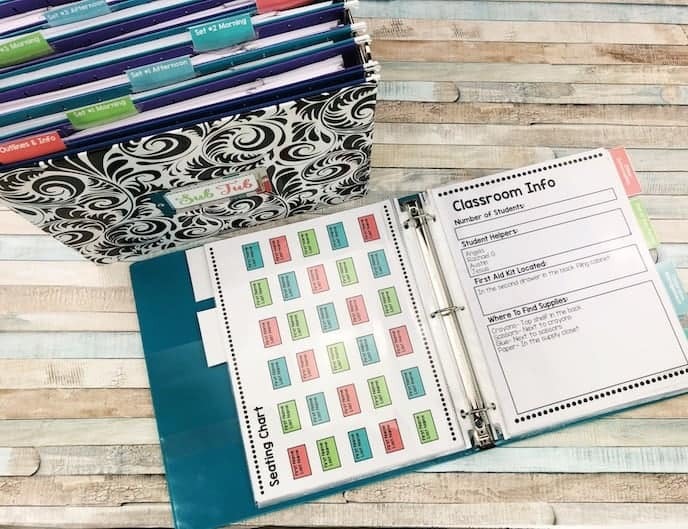 If you love the freebie, you can check out all of my Ready To Go Sub Plans in my Teachers pay Teachers store! The freebie is just a small sample of how much time these sub plans can save you. The sub plans include lessons for every subject that are print and go! You can purchase individual days, or save when you purchase 2-5 days at once in a bundle! 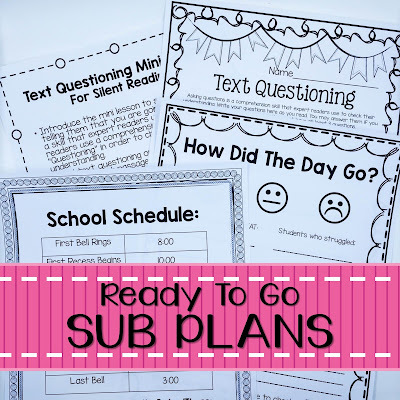 Click here to check out all of my Ready To Go Sub Plans! Well that’s it for today! 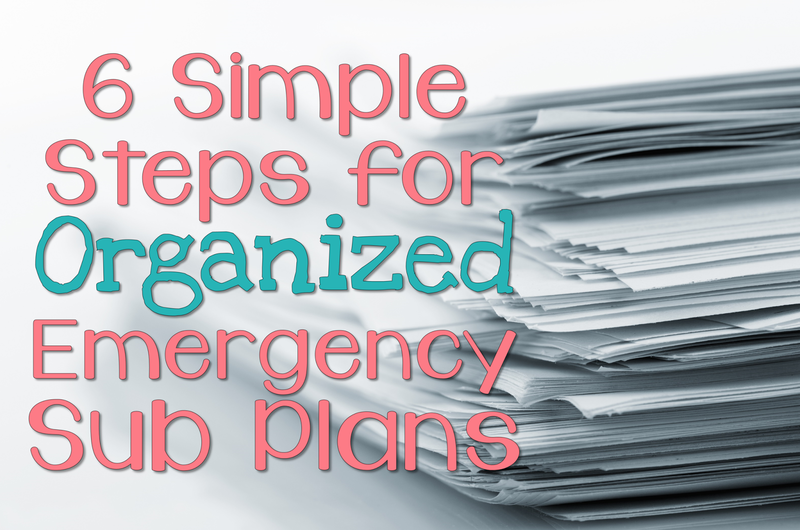 Don’t forget to head over to What I Have Learned to read my guest post about six simple steps to organize your emergency sub plans! You can also pin the post below if you’d like to read it later! 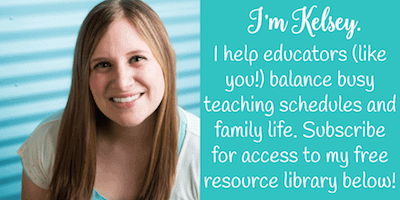 Subscribe to get access to my FREE resource library with sub plans, sub binder forms, a sub tub label, and more!